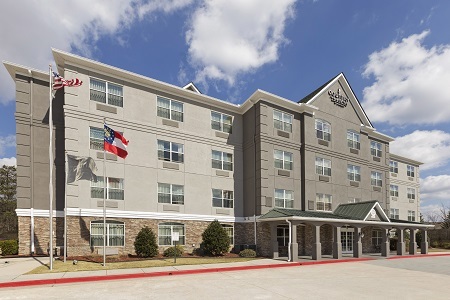 Located just five miles from the Atlanta Braves' SunTrust Park, the newly renovated Country Inn & Suites® by Radisson, Smyrna, GA provides travelers with a quiet haven right outside of downtown Atlanta. Our central location makes it easy to dine, attend meetings, or explore exciting attractions like Six Flags Over Georgia, the Georgia Aquarium, the World of Coca-Cola and Zoo Atlanta. 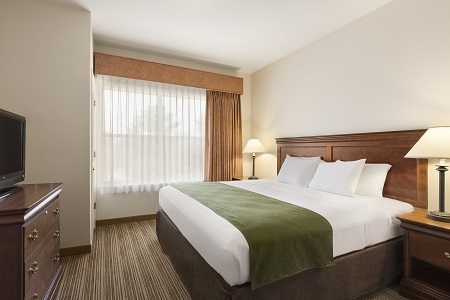 With its proximity to I-285, the Country Inn & Suites puts you an easy 30-minute drive away from the heart of Atlanta. 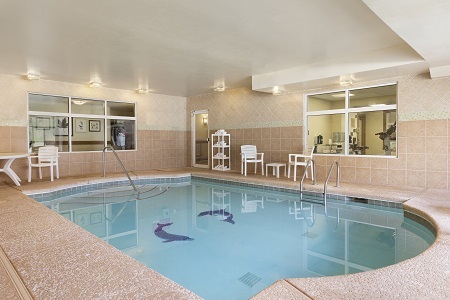 For a romantic getaway, book our Whirlpool Guest Room and enjoy spacious accommodations with an in-room whirlpool for two. Start your day with a plate of eggs and homemade waffles from the free, hot breakfast in our dining area. Busy morning? Grab a yogurt or muffin to take on the go. 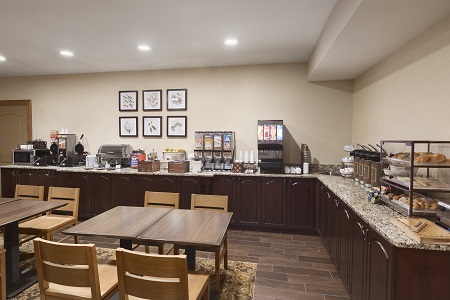 Complimentary coffee, cookies and candy are available in the lobby throughout the day. For lunch or dinner, be sure to check out these nearby restaurants. Enjoy specialty sushi rolls at Maru Sushi or a casual pizza night at Little Azio Pizza & Pasta, both within two miles of the hotel. Cumberland Mall – Home to over 130 stores, the Cumberland Mall provides hours of entertainment for shoppers. Check out stores like Apple, Michael Kors and H&M or restaurants like The Cheesecake Factory and Buffalo Wild Wings. Georgia Aquarium – This underwater wonderland, only a 20-minute ride from the hotel, is home to exotic sea life like blue-spotted stingrays and beluga whales. Watch the Asian sea otters play and be sure to check out all of the species from the Great Barrier Reef. Six Flags Over Georgia – There’s fun for all ages at this famed amusement park, only 12 minutes from the hotel. Children can meet their favorite Looney Tunes characters, while thrill-seekers can get an adrenaline rush on rides like Acrophobia and Blue Hawk. Welcome up to 50 guests in our 550-square-foot event room. 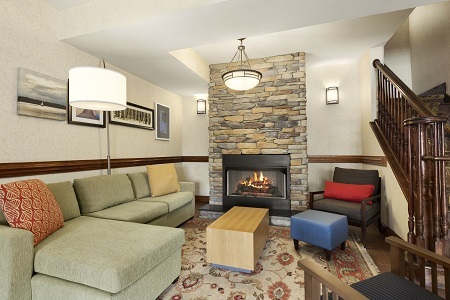 Take advantage of free high-speed Internet access and flexible room arrangements. Our experienced staff is happy to assist you with planning and catering recommendations.